NB We’ve updated this article to include the Amazon Ranking Algorithm Update from October 2018. 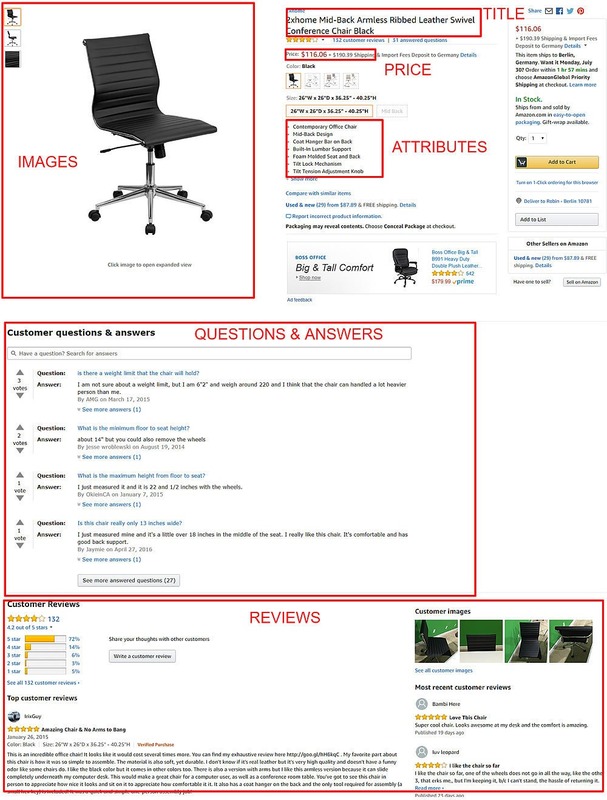 Want your product to rank higher in the Amazon search results? You can improve the ranking (Amazon SEO, or search engine optimization) as well as increase traffic and sales simply by carefully optimizing your product listing. Amazon product optimization is, therefore, one of the most important things you should do as a seller or vendor on Amazon. Include all the relevant keywords on your product page. Plan enough time to conduct thorough keyword research to find these relevant keywords. Make good use of our Amazon keyword research tool Sonar — it’s free! 1. Product Title: Place your top 5 keywords in the product title. According to the new ranking algorithm, this is no longer necessary. You can now pay more attention to crafting a descriptive, yet readable title. 2. Backend keywords: Add up to 249 bytes of other important keywords in the “search terms” (also known as “generic keywords”.) Caution: Amazon will not index these keywords If you use more than 249 bytes (more information on backend keywords). 3. Bullet Points and Product Description: You can place more keywords here, but only if it doesn’t disrupt the informative clarity of the product texts. 4. Other Keyword Types: Some products allow the definition of additional keyword types, such as Target Audience (e.g., men/women). Amazon filters them in the search, so make sure to add them. 5. More Details: Assign additional product information, such as material type, to your product. Fill in this information as thoroughly as possible because customers can access it via the filter navigation and specific product finders. Content optimization can increase the click-through rate (CTR) in the search result and the conversion rate (CR) on the product page. Both, in turn, contribute to an increase in sales and thus a higher ranking. Main Image: Relevant for CTR and CR. The main image may only represent the core product and must absolutely comply with the minimum requirements of Amazon (especially a white background and filling 85% of the image frame). The product needs to be attractive, easily recognizable, and well lit. Additional images: Relevant for CR. You have more flexible design options with additional images. Use them to highlight the distinguishing features of a product. Some important examples are different angles, uses and benefits, embedding in the environment, lifestyle, and social interaction, proportions, special features and benefits, details, and packaging. 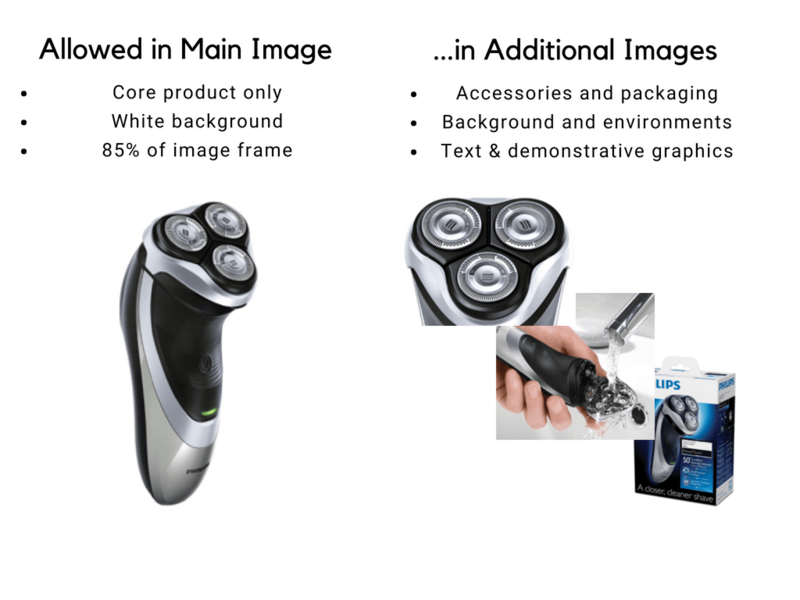 Learn more about optimizing product images. Additional information can be entered for each product, for example about material, weight, or energy efficiency class. 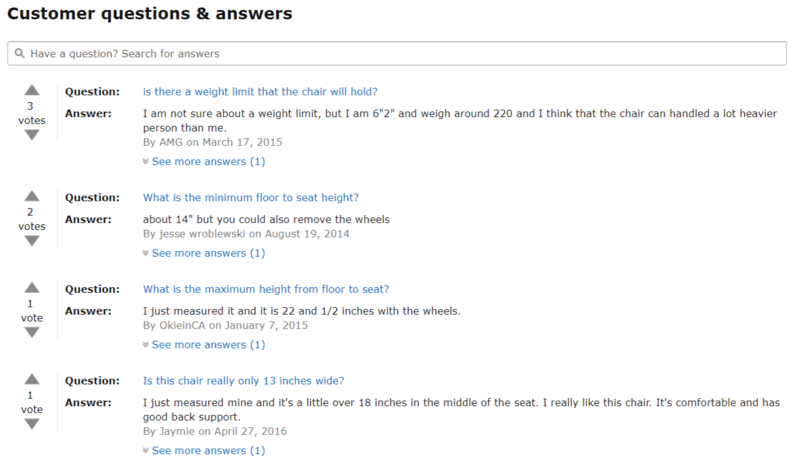 Fill in this information as thoroughly as possible: The filter navigation in the sidebar of the Amazon search uses it, as well as specialized product finders. The information is also clearly displayed in a dedicated section on the product page and can thus improve the conversion rate. You can increase your number of reviews in various ways. In general, a customer’s willingness to submit a review increases with excellent customer service. You could also use parcel inserts to prompt customers for reviews or advertise on product testing platforms. Always make sure you stay within the review guidelines of Amazon, especially with the latter method. Amazon also offers vendors and sellers its own fee-based programs for generating reviews: Amazon Vine (vendors) and the Early Reviewer Program (seller). Implement continuous review management to maintain a high product review score. You should, in particular, comment on negative customer reviews. As a merchant or manufacturer, you can add your own perspective and shed a better light on the review. It also shows good customer service and might persuade the customer to amend the review or remove it altogether. Learn more about the features of Sellics Seller Edition and Vendor Edition!